Please join us on Monday, November 20th at 6:30PM at the Beginning Investors Group at the Hudson Grille in Sandy Springs where our special guest speaker will be Peter Pasternack who will be teaching you his “Investor’s Blueprint To Success” in real estate investing. 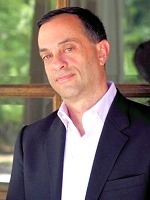 Peter Pasternack, star of A&E’s “Flip This House”, is a CPA, an entrepreneur, investor, rehabber, networker and trainer. Peter co-founded Foundations Design, LLC, the award-winning company that designs, builds and renovates residential properties in the Greater Atlanta area. Peter also runs Real Estate Connections and The Investor’s Blueprint which educates and inspires new and seasoned realestate investors.